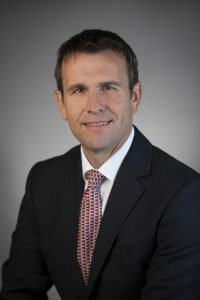 Richard Fox-Marrs was named president and CEO of JCB. JCB appointed Richard Fox-Marrs as president and CEO of JCB. Additionally, he is responsible for production at JCB North America’s Savannah headquarters. Fox-Marrs is a 26-year veteran of JCB. Previously, he served as JCB North America’s president of agriculture. He also held positions such as managing director of the Loadall telescopic handler business unit and managing director of JCB’s global agricultural division. Fox-Marrs also serves on the board of the Association of Equipment Manufacturers. The American Society of Irrigation Consultants (ASIC) will name Steven Hohl, irrigation consultant and principal at Water Concern in Rancho Santa Margarita, Calif., an ASIC Fellow at the 2017 ASIC Awards Banquet April 25 in Seattle. The honor recognizes leadership, professionalism and commitment to independent irrigation development, design and management principles. After graduating from the irrigation science program at Cal Poly-Pomona, he worked on major projects in Southern California, including community development master planning; water management and resource development; and commercial, industrial and recreational complexes. He also served as ASIC president from 2013-2014 and currently serves on its executive committee. The Aspire Software Co. promoted Bryan Mours to director of client services. Mours has more than 35 years of experience in the landscape industry, including owning his own landscape consulting business. He holds an executive MBA from the Rochester Institute of Technology in New York. Gachina Landscape Management hired Steven Van Dongen as business development manager. He has two decades of experience in horticulture and sales management, having held senior sales management positions at Bayer Crop Science and Shire Pharmaceuticals. He holds a bachelor’s in business administration from Holland University in the Netherlands. Clint Waltz, Ph.D., of University of Georgia and William Meyer, Ph.D., of Rutgers University received the Turfgrass Educator Award of Excellence. Michelle Williams of SiteOne Landscape Supply received the Distinguished Service Award. Ken Ensor, inventor of Donkey Forklift and founder of Quality Corporation, received the Innovator of the Year Award. Ray Weekly of Chantilly Turf Farm received the Honorary Member Award. Bob Weerts of Blue Valley Sod received the President’s Leadership Award. Dvorak, a Czech manufacturer of the Spider brand of remote-controlled slope mowers, appointed Peter Driver to public relations consultant. Driver, who recently retired from Jacobsen’s UK subsidiary business, Ransomes Jacobsen, has more than 20 years of experience in turf maintenance equipment manufacturing. The Davey Tree Expert Co. promoted Jeff Walton to district manager of The Care of Trees (TCOT), at the residential/commercial office in Dulles, Va. Walton has nearly 20 years of experience in the green industry. He spent more than 13 years as a sales arborist with TCOT and joined Davey in 2008 when it merged with TCOT. Walton is an International Society of Arboriculture Certified Arborist.